On Thursday, Club Penguin released a new Holiday Cookies Pin at the Pool. I am sure you know the location of the Pool, but for those who do not, simply open up the Island Map and go to the Mine Shack (near the Recycling Center). Proceed into the Cave through the entrance of the Mine Shack and go to the Pool, located beyond the Cave. Click on the Holiday Cookies Pin. I am considering the possibility of making CP Coins not only a Money Maker, but also a website with cheats, secrets, and additional cheating tools. 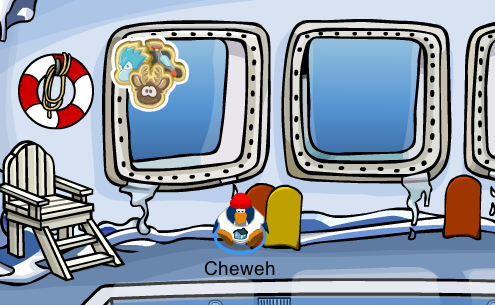 If I do continue to post secrets on CP Coins, I will only publish cheats for parties, pins, and updates on Club Penguin. I will not update the website for plays or catalogs, as I do not really care about catalog secrets or plays. I also mentioned the possibility of additional cheating tools, such as a Furniture Item Generator and a Clothing Item Generator. Currently, I am opposed to the development of such tools, as they carry a high risk of being permanently banned on Club Penguin. Furthermore, many of the Furniture and Clothing Items that were once available on the game are now patched. I have had several requests for more tools, so I have not yet made a final decision. However, I would like your feedback on the future of CP Coins. Should I develop additional tools that could run the risk of banning your account on Club Penguin? 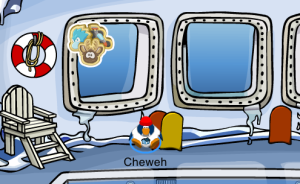 Should I also continue to publish cheats and secrets on clubpenguincoins.com? Please let me know in the comments. This entry was posted in Announcements, Pins on December 28, 2012 by admin.